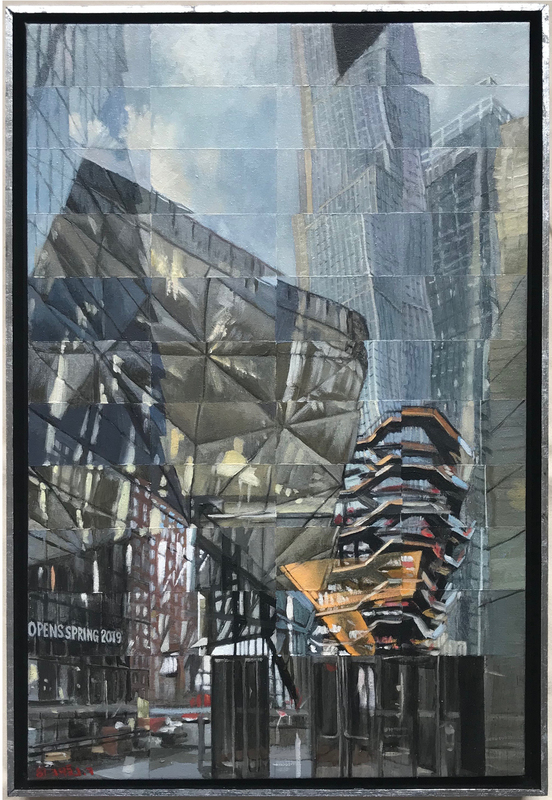 Frédéric Lère has been so impressed by the Hudson Yards development, that he has used this as a source of inspiration for his latest paintings. The Vessel, Thomas Heatherwick’s centerpiece, is the focus of several paintings. Over the years, Lère has painted railroad tracks, up North along the Hudson River, and South on the High Line. His Hudson Yards paintings came as a natural extension of these Grand Central Station and High Line projects. As an engaged artist whose studio is in Hell’s Kitchen, Lère has exhibited internationally as well as with the Garment District Alliance; and with the Fashion District Art Festival. His art has also been successfully shown in promotional events organized by various commercial concerns. Galerie Nocogo, La Chartre sur le Loir, France. January 12 – March 16 2019. Group show “La Galerie Nocogo fait sa rétrospective”. Vivienne Art Galerie, Paris, France. September 20 – November 10, 2018. Group show “30 ans d’exposition Galerie Vivienne”.